After two weeks of near freezing morning temperatures we got ourselves a bit of a warm spell that the local weather jockeys are called Extended Summer. For me that meant riding without leg coverings! Weather my legs are covered or not I have got the fall bike commuting attire figured out. Always wear a long sleeve and then layer with a jersey, if I need pockets to carry stuff while on the Fredmobile or a wicking undershirt if I am on the Qball. Both as it gets colder and when it drops into low 40s or upper 30s, then a wind vest. 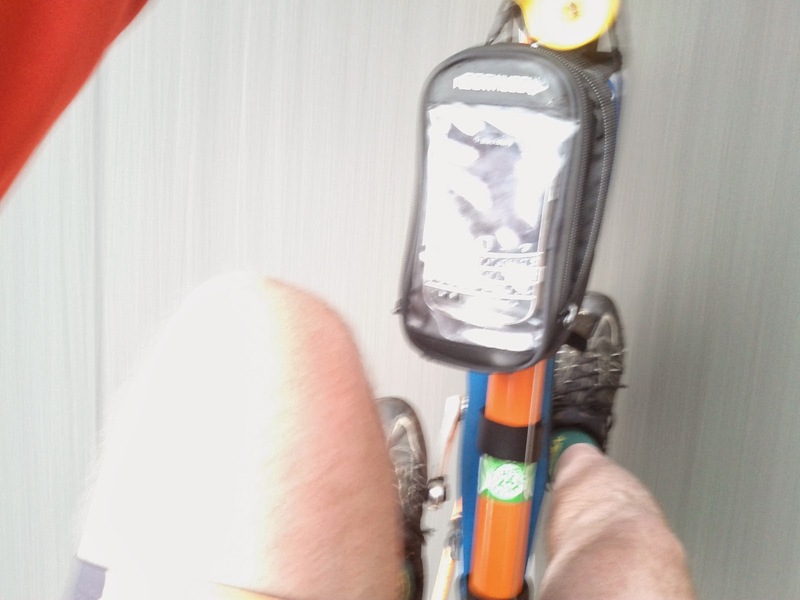 One thing you will note, that is the last picture/time I am riding with that top tube bag on the Fredmobile. It keeps sagging to one side and my legs hit if I am climbing out of the saddle. I need to find another solution for carrying the Blackberry! Why bother? 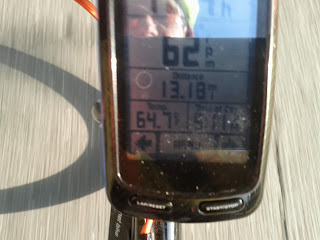 I am sort of addicted to tracking my commutes with Endomondo and I have an app on the Blackberry that lets me do it. I can pull the data off the Garmin Edge, but there is some bug with the software that automatically makes the activity a Run instead of the one you selected and it becomes a pain to edit and it screws up my scoring.